Trio Gimelia is participating to Master Class 26.6.–3.7 in the city of Dijon, Bourgogne, France. 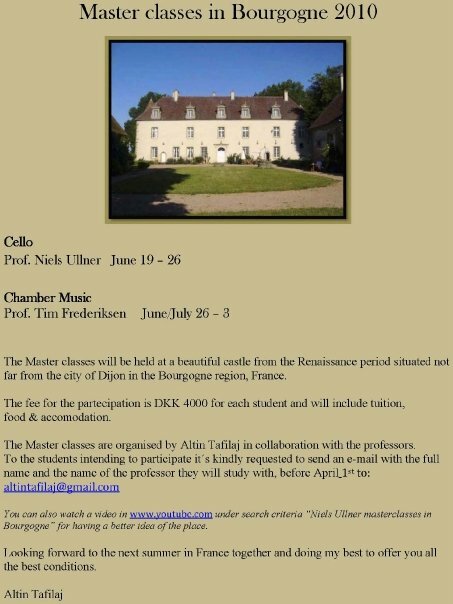 The master class will be held at a beautiful castle from the renaissance period situated not far from the city of Dijon in the Bourgogne region, France. The Master class is organised by Altin Tafilaj with the professor Tim Frederiksen.